Using a Clothes Airer to help store clothes. Spring is fast approaching so hang onto your clothes horse! So we are almost ready to get out our summer clothes and store our winter ones for next year. 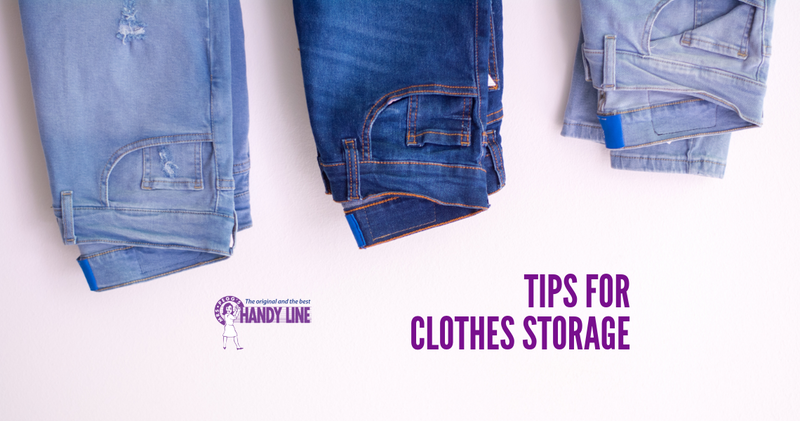 Here are some great tips for storing your clothes via a clothes airer that will save you time and money plus make it easier to deal with your laundry day! If you have a large family, you might want to sort through one person’s clothes each day, or gather everyone’s clothes by colour and wash all together and sort. Otherwise you will get overwhelmed! Any items that look old, torn or no longer fit, toss out, give away to your local charity or recycle as rags. Special items that may have meaning or memories you may want to hang on to or make something useful from them. Do you really need 5 pairs of black shorts? Does your daughter need 4 pink t-shirts? Let go of the clothing items that you really don’t need. Not only are you making room in your closet but also cutting down on your laundry loads and the expense of washing. You will have more room to dry your clothes when using a clothes hanging rack. Once you have reduced items down to a smaller amount, you can figure out the storage situation. It may be helpful to store children’s clothing by gender or size. Large plastic storage containers with tight fitting lids work best to safeguard from humidity and insects. Try to keep containers in doors if possible. In the winter it can get damp in a garage or storage unit. Before placing your clothing items inside, hang them on a clothes airer. Then sprinkle a little baking soda in the bottom of the container. Add your folded clothes and throw in a couple of fabric sheets to reduce mould and mildew and add freshness. If you are not a fan of the odour that comes with mothballs, you can make a natural moth repellent by mixing three ounces of whole cloves with two cups of dried lavender blossoms and four cups of cedar chips which is a non-toxic insect repellent for fleas and ticks. (The kind used for pet bedding) Tie off in sachets made from old cut off pantyhose.This will deter some pests and make your clothes smell great, however, it is not as effective mothballs. If you decide to use mothballs, to eliminate the smell, air out clothing in fresh air for a couple of days after you unpack it then wash clothing with one cup of distilled white vinegar added in the wash cycle. Next winter when you remove clothes from storage hang them on a clothes airer for half a day outside to get rid of those storage smells. It does not matter if it’s a clothes horse or clothes airer the best way to hang clothes is with a portable clothesline from Mrs. Pegg’s Handylines. For more drying tips please click here. To order a Mrs. Pegg’s Handy Line in time for Winter Please Free Call 1800 111 811 or order online by clicking here. Remember we have FREE Delivery and you can use After Pay.